afterwards I really enjoyed, I loved how they talk about music as healing and uplifting and giving hope which is, as Martin said, exactly what Hayley does with her music. It seems like there has been more promotion for this album than Hayley's other Japanese albums and performances on TV too which is really great. From the link that appears in the video, I've worked out that the correct title of yesterday's show on NHK is You-Doki. Yes it is wonderful that no matter where Hayley goes in the world, there are dedicated fans prepared to share with others. 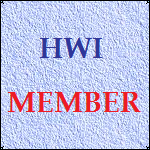 It is really appreciated, and one of the great things about HWI. Hayley's live performances always seem more "live" than her studio recordings; generally I prefer them so it is wonderful that we have people like Maya and Dave who are willing to share them. Thank you both once again.